Long before computer consoles, touch pads and interactive media grasped our children’s attention they would happily surround themselves with an array of magical, mystical and, yes completely fabricated settings. With a selection of friends all of whom only ever existed in the land of make believe, but were never considered any less important than real people in the eyes of the child who created them, imagination was and still is, for the most part, an integral portion of the development process in children. Being encouraged to role play is proven to have a positive effect on several crucial areas of child growth including; cognitive development, communication and language development, social development and lastly, physical development. 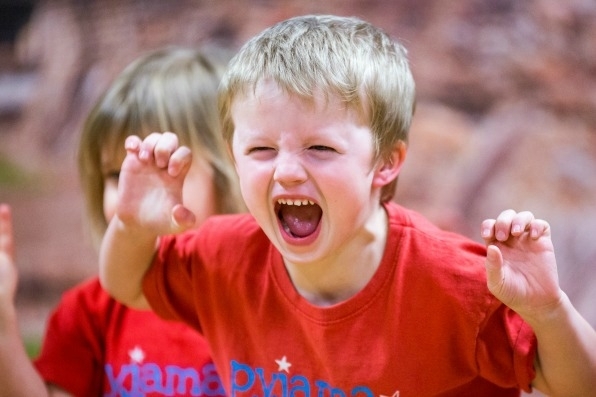 Amy Hansford, manager at Milton Keynes Pyjama Drama is a strong advocator for childhood role play and explains here the importance of children exploring the realms of creativity via imaginary play. It’s widely known that a child’s ability to communicate verbally is a direct response to the speech and words they are exposed to on a regular basis. The different tones and expressions that come with that are also practiced regularly as a child, and in most cases vocabulary and understanding is perfected through imaginative role play. This can begin at a relatively early age and is present throughout childhood with many benefits. During the early years of a child’s growth the brain is considered to represent that of a sponge. Scientific research shows that by the age of four a child’s brain is twice as active as an adult, this is simply due to the fact that the brain of a child burns a great deal more in glucose than that of an adult, and it is required to do this in order to maintain the vast number of connections between neurons. So when I child is absorbing everything around, he or she is presenting that knowledge via role play, helping to create an environment for intellectual, social and emotional development. Imaginative play in even the youngest children strongly improves their capabilities to build relationships and social skills; they learn incredibly early on the importance of teamwork and also the importance of expressing their own feelings. Without role play children have the potential to develop slightly slower in key areas. Most children these days are introduced at an early age to different technological equipment that on the one hand can be displayed as an educational tool, to improve a number of skills, but on the other hand it can be deemed unsupportive in the way of developing a child’s life so as to communicate effectively and interact in social circumstances without being inept. When asked about whether or not the introduction of new multimedia technologies has had a negative impact on children, Amy says, “Only as much as television did, or the introduction of radio. It’s just new technology. Clearly putting your child in front of a screen all day every day has various negative effects. But used in sensible amounts they engage children and ask the children to participate. This proves role play is definitely a fundamental fragment of child growth in both physical and mental terms, and the way we encourage our children to perform in their imaginary worlds is vital in ensuring their long term development is on the right path. Playing is progressing, so every child should be encouraged to learn how to pretend.